Both above quotes are true – but spoken nearly after four decades of 1965 war. The architect of this blatant misinformation was none other than PAF Air Chief Nur Khan. 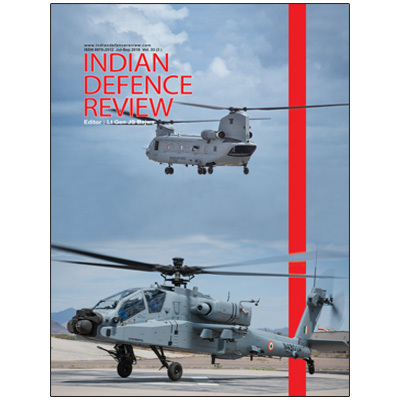 This article will prove the hollowness of above claims and bring out the true performance of the IAF. It is not that IAF did not make mistakes – it did. Most importantly it did not hide its mistakes. The truth was that it recovered quickly from initial setback in the war and outdid the PAF in every department. However, it appears that PAF’s well crafted propaganda unfortunately impacted on the perception of even the best analysts leading them to fall prey to PAF’s misinformation. 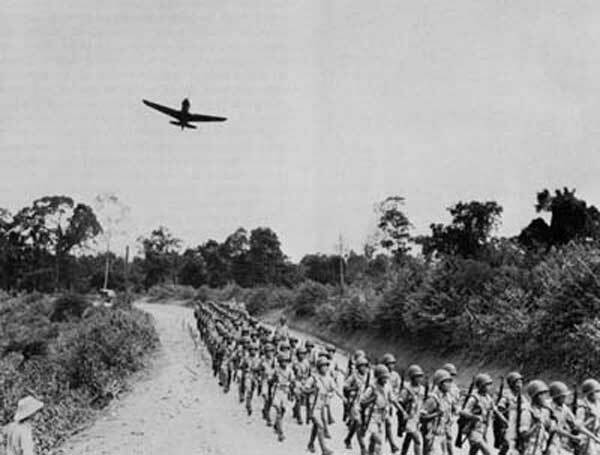 We will cover this story in two parts – first the Battle for Air Superiority and the side that achieved it; the second part will cover support to the respective armies by both the Air Forces and which was better. In the war between India and Pakistan in 1965 air superiority was never contested, air power was largely restricted to ground support and the air war came to an early halt as a result of shortage of spares and weapons imposed by international embargo. On the eve of 1965 war, IAF had 466 combat aircraft against 203 of the PAF.2 PAF had 16 aircraft in East Pakistan and the rest in West. Against this IAF had deployed 176 aircraft in the East to take care of the Chinese and East Pakistani threat. Thus, IAF had 290 aircraft facing West Pakistan. Numerically this gave IAF a superiority of 1.4:1 against PAF in the West and 11:1 in the East. On 6th Sept PAF launched pre-emptive attack against four IAF air bases and three radar stations, i.e. Pathankot, Adhampur, Halwara, Jamnagar airfields and radar stations at Amritsar, Firozpur and Jamnagar. PAF’s attack over Pathankot met with great success. PAF claimed to have destroyed 7 MiG-21s, 5 Mysteres, and 2 Packet transport aircraft. IAF admitted to losing 2 MiG-21s, 6 Mysteres, 1 Packet, 1 Gnat as destroyed and damage to 2 Gnats and 1 Mystere. These aircraft were destroyed because they were not sufficiently dispersed and camouflaged. Some of them had just landed back after operational sorties and were being refuelled. One may like to explain it away as an unkind hand of fate. In the East, PAF attacked Kalaikunda air base. 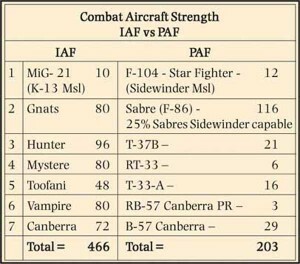 PAF claimed destroying 14 Canberra, 1 x Packet and damage to 4 Canberra and 3 Hunters.3 IAF admitted loss of 4 Canberra and 4 Vampires. This happened because Kalaikunda did not have any dispersal facilities. Here the aircraft had to operate from a large apron. On the morning of 7 Sept, having absorbed the PAF pre-emptive the previous day, IAF launched a total of 33 sorties spread over ten hours for this all important battle of air superiority! George K Tanham observed, “Given the importance of the target (Sargodha) the careful planning and practice, and approximately 300 aircraft available to the IAF, this attack was surprisingly small and lightly pressed.”4 The 1.4:1 superiority of the IAF in the West in fact was further diluted because the PAF aircraft had greater fighting capability. This was true, especially because of its Sidewinder missile capability of Sabres and Star fighters. Though, it was known that only 25 percent Sabres were missile capable, but to every IAF pilot who would have seen a Sabre in air, it would have been prudent to consider it Sidewinder capable. Pushpinder Singh an Indian military historian stated that PAF had lost 12 percent of its strength by 8 Sept and, hence, went on defensive.5 Nur Khan, the PAF Chief, himself agreed that this was the PAF’s chosen strategy considering the asymmetry with the IAF and India being far more self-reliant for war waging material compared to Pakistan. The Pak Air Chief continued to express strange notions of air superiority. The PAF, barring the night attacks by the Canberras, totally gave up its forays into Indian territory. It concentrated on air defence of PAF airbases and certain amount of support to its army coming under attack at Lahore and Sialkot. Whereas at Khem Karan where Pak armour had launched its major offensive, Indian troops of 3 Cavalry and 4 Div did not come under any air attack. 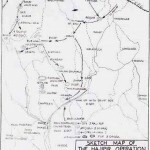 If PAF had achieved air supremacy as claimed, it could have decimated Indian Army’s opposition to its major armour thrust – which some claimed was to isolate Amritsar by capturing Beas Bridges. Pak lost 108 tanks here, quite a few in working condition. Nevertheless, Nur Khan claimed air supremacy over Pak air space, even though it was the IAF which attacked Pak armour and its supplies. IAF fighters continued to operate over Pak territory and air space. In 1965 the only two offensives of the Pak Army were at Chhamb and Khem Karan. In both these sectors PAF did not win the air battle. At Chhamb both air forces continued to operate, with IAF halting Pak advance well short of Akhnoor. Therefore, the PAF could not claim air superiority here. At Khem Karan it was the IAF, which was more active. At Lahore, on the critical day of 6th Sept where Indian Army had launched an offensive PAF had an upper hand. During the rest of the war majority of the PAF air support sorties for Pak Army were over its own territory whereas majority of IAF’s air support sorties were over Pak territory. So actually IAF had the favourable air situation over the battle area of concern during most of the war. In their respective territories both air forces were by and large free to operate. On the balance it was the IAF, which had greater control of air than the PAF. Of course IAF lost more number of aircrafts, a result of its larger number of offensive sorties over enemy territory, but its attrition rate was lesser than that of the PAF’s. 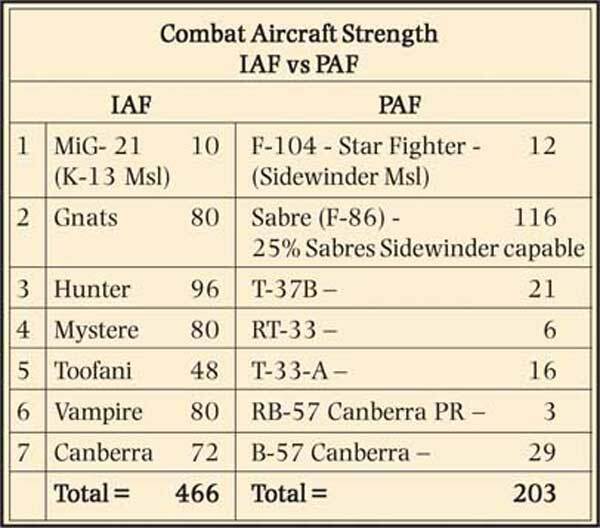 A causative analysis of IAF & PAF losses provides a better perspective rather than relying just on numbers. It is true that IAF lost 36 aircraft destroyed and 17 damaged on ground due to enemy air strikes. These losses can be attributed to failure in proper dispersal and camouflage of aircraft and is not indicative of IAF’s performance during the further course of air war. This loss accounted for 8 percent depletion of IAF which implied that IAF was still a potent fighting force. Let us consider the air-to-air kills. These need further subdivision i.e., the loss of strike aircraft and loss of pure air defence aircraft. No doubt both these types can engage in air combat albeit with varying degree of maneuverability. But a strike aircraft with heavy configuration with armament load and fuel tanks is no match for a similar fighter in air defence configuration. 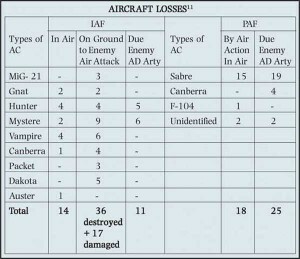 Of the total air to air losses, IAF’s losses were 18 aircraft in strike role and 4 in air defence role. This is indicative of greater offensive forays by the IAF compared to the PAF. Even in pure air-to-air battle, the score is even, despite PAF’s advantage of fighting over its own territory, with air-to-air missiles and better radar cover and control. There are two more factors we need to consider, seemingly minor but crucial in air warfare. PAF seemed to have better intelligence of our deployments, and redeployments. They also seemed to know, the time of our aircraft getting airborne from various bases. This enabled the numerically inferior PAF to utilise its resources far better. In our case, lack of accurate intelligence entailed flying that many more sorties for similar effect. There were instances of attack on airfields devoid of PAF deployment resulting in wastage of strike potential. PAF’s humane intelligence capability was significant. A very daring and innovative idea of the PAF with regard to use of commandos to destroy IAF’s aircraft on ground, where fighter aircraft are always most vulnerable. It was definitely a maverick idea full of surprise but fortunately for the IAF it failed due to insufficient planning, training and last minute coordination between the PAF and the commandos. As the war balloon went up Pakistan launched the commandos without adequate preparation, therefore, this novel idea, failed miserably before it could inflict physical damage. Out of 180 commandos dropped around Halwara, Adhampur and Pathankot only 11 managed to escape back.12 Rest were either killed or captured. Such operations are either spectacular success or catastrophic failure. In the case of Pakistan though many termed it a failure, it nevertheless had an adverse impact on IAF’s operation and did reduce the IAF’s potential. 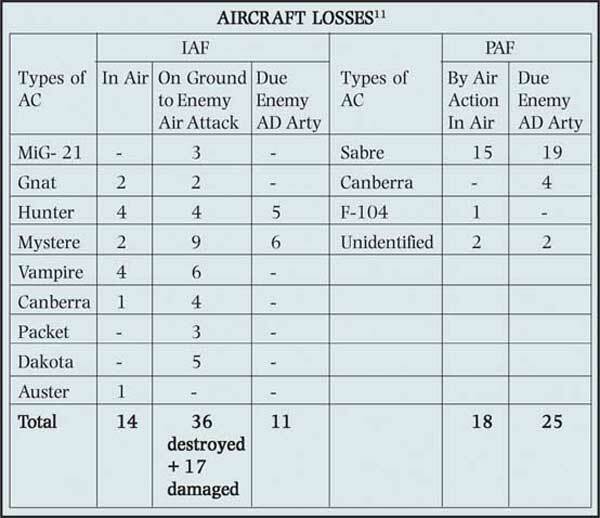 Of the total air to air losses, IAFs losses were 18 aircraft in strike role and 4 in air defence role. This is indicative of greater offensive forays by the IAF compared to the PAF. As a security measure against commandos attacks, the fighter squadrons of Mysteres at Adhampur and Pathankot were relocated on many nights to Palam and Ambala. No 7 and 27 Squadrons of Halwara used to land at Hindon (Delhi) for the night halt.13 Another reason for this relocation was the more frequent PAF Canberra’s night attacks. This daily relocation apart from creating administrative problems reduced the potential of the sorties generated. On one occasion, Adhampur even witnessed its own Mysteres strafing the grassy area within the airfield, presuming that the commandos were hiding there. A well-known attribute of airpower is its rapid mobility. An air force can redeploy its combat squadrons from one theatre to another very rapidly. In fact this is what precisely the PAF did on 6th Sept by moving 12 Sabres and six-T-33s from Mauripur (Karachi) to Sargodha for their well crafted pre-emptive plan against the IAF.14 But IAF by resorting to rigid deployments in the face of over exaggerated threat from China had forsaken the tremendous advantage of numbers. George K Tanham made similar observation in a study on the IAF for the Rand Corporation. “It is not clear why the IAF decided to withhold nearly half of its air force against possible Chinese attack, since one advantage of air power is its ability to move quickly.”15 This is not all. Despite above factors, overall IAF had a better control of air. Thus it is IAF and not PAF which won the battle of air superiority in 1965 Indo-Pak war. An elaboration of Psychological Operations by PAF follows as a further proof. PAF realised the importance and played psy ops game in the most spectacular manner whereas, IAF and the Indian Government neglected it. As a result the IAF was discredited in the air war. The truth was far from what was projected by the PAF. Since PAF was at its exalted best and the IAF at its nadir in psy ops in the 1965 war, it will be instructive to examine this aspect in greater details. One good place to start this examination is review of General Mohammad Musa’s book “My Version – Indo-Pak War of 1965”. General Musa was the Pakistani Army Chief during this war. His book of less than 100 pages has lot of quotations of western correspondents mostly in praise of Pak armed forces and denigrating Indian performance. One of them alleges that the Indian Government did not permit foreign correspondents within 100 miles of the front. So when Pakistan was currying favours with the journalists by going out of their way, PAF Air Chief Nur Khan, went one step further. To quote Brig AR Siddiqui – Editor Pak Defence Journal, “After the war Air Mshl Nur Khan made a full-length feature film with defence funds titled – ‘No Greater Glory’ in English and ‘Kasam Us Waqt Ki’ in Urdu. Released in end 1969 both movies flopped badly. Subsequently the Air Mshl hired the services of a British journalist John Fricker…The Air Mshl stole the limelight in the narrative as well as the visuals.” This in the issue of No 7-8, 1994. John Fricker, was an aviation and military reporter for the magazine ‘Aeroplane’. Fricker was commissioned by the PAF Air Chief to write a book on PAF which Fricker did and titled it, “Battle for Pakistan – The Air War of 1965”. The book got published only in 1979, fourteen years later. One wonders why so late? It is alleged that Fricker had difficulty in finding anyone to publish it. Since the book was not published earlier Fricker wrote an article titled, “30 Seconds Over Sargodha” and it was published in the ‘Aeroplane’ magazine. In this article it was claimed that a Pakistani pilot Squadron Leader Mohammad Alam shot down five Hunters in 30 seconds over Sargodha. The author came across this article in 1975 as a Flying Officer in a fighter squadron. My query to my boss, was forwarded to the Air HQ and was replied. The reply classified the claim as false. As per the IAF, the PAF did shoot down two Hunters on 7 Sept. The third Hunter in a different formation was lost later when its engine malfunctioned. But Air HQ did not deem it fit to contradict Frickers claim in public. It was left to Shri Pushpinder Singh to refute Frickers claim in Vayu III/1988. Air Superiority. PAF won air superiority within two hours of its pre-emptive on the evening of 6 Sept. Comment. At the end of 6th Sept PAF had claimed destruction of about 16-18 aircraft. India admitted to losing 14 aircraft while shooting down three Sabres on 6th out of the 16 Sabres that came for attacks and two more in Chhamb earlier. IAF still had 452 aircraft left. So the claim of air superiority is nonsense and bogus. Air Supremacy. PAF won air supremacy at the end of 8th Sept that is within 48 hours. Comment. Air supremacy implies inability of opposing air force to fly and cause any interference whatsoever. IAF flew more than 3000 sorties after 8th Sept and also shot down 10 PAF aircraft also after 8th Sept. Hence, this claim too is unsustainable. That fact that PAF continued to fly 70 sorties of air defence per day for rest of the war to guard against IAF strikes proves the point amply. PAF and Pakistan pursued their propaganda war in extreme crass ways. To a reader less informed on the complexities of the air war the propaganda churned out might have seemed true. More so when the other party was not coming out of its side of the story. For instance Air Cmde Jamal Hussain writing in Pakistan’s Defence Journal of Apr 2 claims ‘Excellence in Air Combat – PAF’s Forte’. He states that both in 1965 and 1971 war PAF achieved a kill ratio of over 2:1 in air combat missions over its adversary. What he does not tell the reader is that PAF fighters in air defence configuration were attacking the IAF’s strike aircraft heavily laden for strike mission. If this is considered then 2:1 ratio is actually incorrect. Again what he does not tell the reader is that PAF’s air defence aircraft were shot up by IAF’s strike aircraft like HF-24, SU-7 and Hunters quite a few times in 1971 war. Even in 65 War Hunters shot down 7 Sabres. While talking of air-to-air kills and PAF’s propaganda that PAF pilots were very good in air combat, it is worth mentioning an important point regarding guns carried in fighters of the IAF and the PAF. The F-86 Sabre had six guns of .5 inch Calibre. 4 Sep 65 – Chhamb, Sqn Ldr J Greene, Flt Lt AJS Sandhu, and Flt Lt Manna Murdeshwar behind 3 Sabres – all had jammed guns. 10 Sep 65 – Flt Lt V Kapila and Harry Sidhu – gun stopping during combat with Sabres with Gnats behind Sabres. 2. BC Chakravorty, “History of Indo-Pakistan War – 1965” (History Division, Ministry of Defence, Government of India, New Delhi, 1992), pp. 245-48. 3. SS Hussain, “History of Pakistan Air Force 1947-1982” (PAF Press, Karachi, Pakistan, 1982). p. 157. 4. George K Tanham, “The Indian Air Force – Trends and Prospects” (Vision Books, New Delhi, 1995). p. 52. 5. Pushpinder Singh, Ravi Rikhye, Peter Steinemann, “Fizaya – Psyche of Pakistan Air Force” (The Society for Aerospace Studies, New Delhi, 1991), p. 43. 6. M Asghar Khan, “The First Round – Indo Pakistani War 1965” (Vikas Publishing House Pvt Ltd, Ghaziabad, UP 1979). p. 32. 7. Pakistani Defence Journal, 7-8, 1990, p. 51. 8. Tony Mason, “Air Power – A Centennial Appraisal” (Brassy, London, 1994) p 64. Also refer Robin Higham, “Air Power – A Concise History” (Macdonald, London, 1972), pp. 225-26. 9. Vayu III/1988, p. 30. 10. AK Tiwary, “IAF at War” Indian Defence Review, Oct Dec 2001, New Delhi, p.145. 11. Chakravorty, op.cit. p. 270. 12. Mohammed Musa, “My Version – India – Pakistan War 1965” (ABC Publishing House, New Delhi, 1983). p. 1. General Musa was the Pakistan’s Army Chief during the 1965 war. 13. Chakraborty. op. cit. 90-92. 14. Hussain. op. cit. 250. 15. Tanham, op.cit. p. 50. 16. Simon Watson, “Kalaikunda Air Base – It’s History” Vayu V/2001, New Delhi, India, pp 64-65. 17. RK Mandal, “Marshal of the Sky – Arjan Singh” (Air HQ (VB), New Delhi, 2002), p. 16. 18. DR Mankekar, “Twenty-two Fateful Days – Pakistan Cut to Size” (Manaktalas, Bombay, 1966), p. 6. Author of the books Indian Air Force in Wars and Attrition in Air Warfare. “Meanwhile, at the IAF Air Base at Pathankot, the Station Commander, Group Captain Roshan Suri had just returned from a meeting of Station Commanders from Western Air Command. 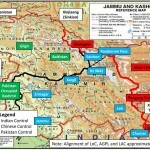 Suri briefed his Squadron Commanders of the impending Army move to cross the international border…. The PAF aircraft reached Pathankot precisely on time at 1705 hours and discovered a large number of IAF aircraft parked around in protected dispersal pens. With no enemy fighters in the vicinity and fairly thin ground fire, ‘Nosey’ set the ball rolling with four carefully-positioned dives from about 500 metres, systematically selecting individual aircraft in protected pens on the airfield for his fixed-gun attacks. He was gratified to recognize the distinctive delta-winged MiG-21s- India’s latest fighter – among the aircraft on the ground, and singled them out for special attention. GOOD JOKE. I AM SURPRISED 🙂 ARE U? 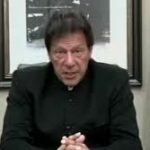 It is really surpring for me that India claims there superiority.if India were at upper hand then why the have to move back at Sialkot and thurparker and it has lost a lot of there part…..Anyhow I admit to some extent you make fool some one but it is undigestable. Dispersal and camouflage was the responsibility of IAF. Early warning and interception of an incoming raid was again the responsibility of IAF. IAF failed miserably in these two aspects. It is an indication of IAF performance. No,no proper dispersal and camouflage was in fact the responsibility of Delhi Munciple Committee and the Fire brigade lol. What a crap this piece is. I believe the PAF gloats over its success at Pathankot & Kalaikundi. How could anybody deny them this success. This all happened on the openning few days of the war. Political leadership cannot be blamed for these two on the ground disasters when aircrafts were neatly lined up for an incoming attacking aircraft. That is military in-eptitude. This is shameful when the war had been on for 7 days and one month prior to that at Haji Pir. The Soviets blamed their generals during openning phase of WWII for leaving their air power unprotected for the Germans to come and clobber them. Same thing happened in Israel-Egypt war of 1967, where Israelis came and beat the hell of the Egyptians aircrafts on the ground. Yes, Pakistani Sabres & F-104 did not do well in dog fights, raids and ground attack. That is where IAF came ahead. Rest is propaganda. I heard in September 8th radio interview that Nur Khan was gloating over his successes at Pathankote and Kalaikundi. He went into hiding until the battle of Burki & Gograi. From September 8th till the last day Pakistanis were loosing more dog fights then ever before. Any other plane which was not intercepted by the IAF fighter fell to the ground anti aircraft gunners. I remember one name of “Raju” who alone shot down more Pakistani planes. After the hostilities, tutored by Bhutto & others Nur Khan came out claiming victory.